Baby sweater patterns aren’t just for winter time! 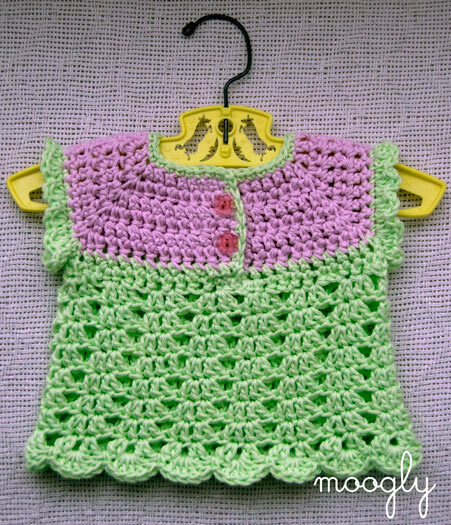 The Summer Breeze Baby Sweater is a sweet little crochet baby sweater vest that’s perfect for warmer weather. Made of cool cotton with open, lightweight stitches, it’s a great layer for warding off an evening chill, or all on it’s own as a little top! Sized to fit 0 to 3 month olds, this baby sweater pattern is fantastically versatile. 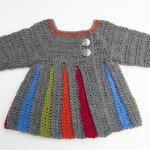 Add long sleeves to make a great winter layer, or add more rows in the pattern to make a gorgeous baby sweater dress! 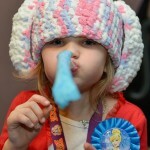 As it is, she can wear it to her first Easter, garden party, wedding, or any time! Special Abbreviation: Make Corner – [esc, ch 1, esc] in the next st or ch, place marker in the ch sp. Move the marker up to the corresponding ch sp with each new row. Round 11 – 16: Repeat Round 10. Row 2: Ch 1, sc in same st. Work 3 dc in the next st. *Sc in the next st, 3 dc in the next st. Repeat from * to end. Break yarn and seamless join. (11 shells) Repeat on other armhole. With Color B, join with a sl st to bottom of outer flap of opening. Ch 1 and sc in the side of the next row and evenly around the opening, working 3sc in both corners. Break yarn and finish off at bottom of inner flap. Weave in all ends. Sew on button to match up with a hole in the stitch pattern of the fabric. Short and sweet and a nice little treat for someone new. This crochet baby sweater pattern works up super fast, perfect for a gift or your own little one! I hope you enjoy making it as much as I did, and I look forward to seeing your pictures on Ravelry and Facebook! Be sure to Like the moogly Facebook page for the latest updates and have some fun with us! Written pattern copyright Tamara Kelly 2013. Please do not reprint, or repost this pattern, but please do link to this page to share this pattern with others. You may sell items made from this pattern, but please include a link to www.mooglyblog.com on the online listing, or on the sale tag if selling at a craft fair, storefront, or other in person sales. Love, love, love this sweater!! Can you tell me how I would adjust the pattern to fit a 3 year-old? Thank you Lea! You would need to start with a much bigger neckline and go from there. I’m hoping to add more sizes soon – it sounds like you are looking for a 3T? I would REALLY like to have a bigger pattern (before summer if possible) for a 2 yr old! She is kinda petite, so I didn’t know if maybe an increase in hook size would even work????? cant wait to hear from you! I just love all your baby sweaters, and this is no exception! I can’t wait to finish up my current WIPs so I can start on this! Another great design, and fantastic color choices!! In Row 7 where you skip the stitches between the Markers ((skipping sts in between 1st and 2nd marked sts, remove markers). Esc in next 22 sts, esc in next ch sp, ch 3, esc in next ch sp (skipping sts in ) are you breaking the thread or doing ss to get from mrker 2 to marker 3? Thank you so much. Boy was I way off. This really helps. I am so glad I wasn’t the only one confused by this. Thanks for the helpful info. First sweater I am making. Yes. I would need the pattern in a 3T. Your patterns are wonderful! Thanks for sharing! Would you mind sharing the finished dimensions of this lovely sweater? I’ve just finished Row 8, and would appreciate having a way to check the size of the arm & neck openings, in particular. Thank you for sharing this pattern. 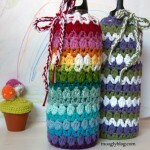 I am super excited about giving it as a gift and would love to know how to make it in larger sizes, too! Thanks. That does help. My gauge is running about 3/4″ smaller, so the neck and armsholes turned out smaller, too. I think I’ll stop here, and re-do using a larger hook. The pattern is too sweet not to try again!! 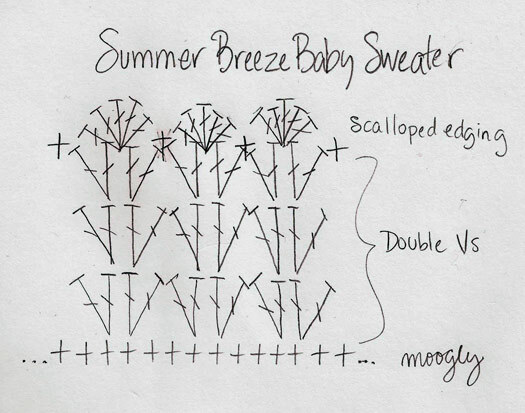 hi, I’m having trouble with the starting chain, I’m trying to make the summer breeze baby sweater. When I follow the instructions, I wind up with 4 unused stitches at the end of my work, I can’t figure out what I’m doing wrong. Can you help me? Gosh, I wish I could, but without seeing it, it’s so hard to say. Assuming you’ve got the right stitch counts in the first Row, I’d probably just keep going according to the pattern and then unravel those remaining chains when you’re done. I’m not sure how far up the sizes I’ll get, but I’ll try! Hi, I love this sweater! I am having trouble though. Even with the correct amount of stitches, I find in the second row that to esc 4 might end up IN the increased stitch spot rather than before it. I have tried several times and made it to row 4, but the neckline is not coming out rectangular. it is crooked. are the stitches supposed to stop BEFORE the corner increase or be a part of it? I had thought about increasing the corner to 2 chains in between to see if that helps. have tried several times but keep ripping it out. Thank you so much!! The only sts worked in the ch 1 spot should be the [esc, ch 1, esc] of the corner. I’m not sure what’s happening without taking a look at it unfortunately. What brand of yarn did you use? Hi kelli! I Love This Cotton in Pink and Pistache shown. Could someone Please do tutorials on these little sweaters on YouTube because Im a newbe and I don’t understand patterns yet but, I can follow onthe YouTube tutorials very well. Thank you. Hi Roxanne! 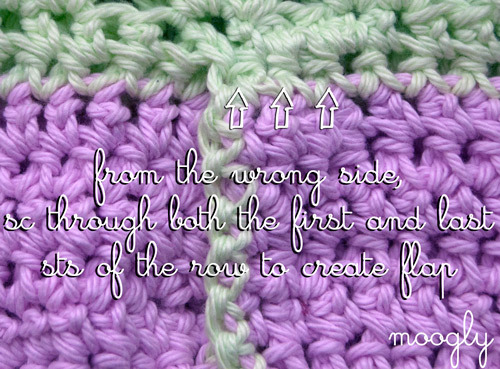 There’s a tutorial that should get you to the armholes, and the rest is charted! I know there’s a learning curve, but learning to read patterns is worth it, I promise! Thank you Chickie Magoo! It’s on the list of things to do for sure! Love this sweater. First attempt at a sweater. I am struggling with step 8. I looked up rs/ws info and thought I got the concept figured out byooking at original tail. ( folded like a sweater it so the left. ?) but am still having trouble on if this is right and the placement of “esc in first 3and last 3sts is confusing me. Help! Hi Katie! Congrats on trying your first sweater! The RS and WS just means right side/wrong side. It helps to take a small piece of yarn and tie it (loosely) to the right side so you can always tell at a glance. In Row 8, the opening is going to overlap – 3 sts from each side will be on top of each other. You want to make those 3 esc sts through both layers. If you think of the button section of a polo shirt, this is the bottom of the button opening. Does that help at all? Hi! I love, love this little sweater. I have a question about gauge. 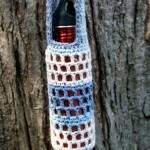 I am using I Love This Cotton and am still not making gauge (11 stitches = 4 inches) with either size H or I hook. I am measuring on row two and with the “I” hook come up with 11 stitches equalling approx 3.5 inches. I don’t believe I am crocheting tightly. Any ideas on what might be going on? I really Appreciate your feedback. Different people simply have different gauges – there’s nothing wrong with that! I might have been extra relaxed while crocheting that one too. 🙂 Bumping up yet another hook size might work! Thank you, Tamara! I will go up another hook size and see if I can get the correct gauge. I just read an article about hooks and learned that brand and hook composition will also affect gauge. Just curious, what type of hooks are your favorite? I am subject to hand and shoulder fatigue and would like to experiment with different hook types. Again, thank you so much for your quick response regarding gauge. I am amazed by your talent and thankful for the beautiful patterns you share. Hi, Is round 9 still worked from the wrong side? Thanks much! You are right, that is a good place to look – at least getting closer to her size. There is one that would work – Crochet Sarafan Dress – but I would need to ‘upsize’ it. Were you going to put instructions someplace on how to do that?? Hi there, I really am a newby when it comes to reading crochet patterns, so I had to re do the yoke quite a few times before getting the right amount of stitches, but now I am well on my way with this cute little top, thank you very much for sharing the pattern, will include a pic next time when I get it finished. 😀 Sounds like you’re doing well! Thank you Lettie! Hi Tamara! I am making this one for my daughter for this winter. I am using Caron simply soft’s burgundy color and love it so far! I have created the armholes and completed 4 rows of the body as well. However, I wanted to add a bit of a flare to the “skirt” part of it. How do I go about increasing the stitches in the double-v stitches? Also, I wanted to add sleeves (so it is a sweater-frock). How should I go about those? Hi Tamara! I never got back to you on this one! I did finally complete the frock, and loved how it turned out. Sounds super cute! 😀 And thank you! I’d love to see it – you can post it to the Moogly Facebook page, or send it to me at tamarakelly at mooglyblog.com! I am not on facebook, but will surely email ’em to you! Thanks Tamara! I ALSO LOVE THIS SWEATER. MY 6 YEAR OLD GRAND DAUGHTER WOULD LOVE THIS ! I WISH I WAS SMART ENOUGH TO ADJUST IT. 🙂 Thank you so much Ginny!